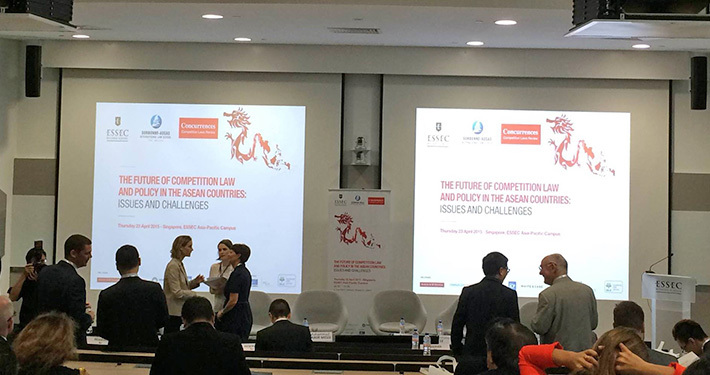 Co-organised by the Sorbonne Assas International Law School, Concurrences Journal and ESSEC Business School, the conference on “The Future of Competition Law and Policy in the ASEAN Countries” will be held on Thursday, 23 April 2015. The Welcome Address will be delivered by Prof. Martine Bronner, Dean of ESSEC Asia-Pacific, and Prof. Daniel Cohen, Dean of Sorbonne Assas International Law School. The Keynote Speech will be delivered by Aubeck Kam Tse Tsuen, President of the Singapore Competition Commission. View the agenda and register at this page.